West Dean Tapestry Studio is working on a tapestry conceived and commissioned by the Charterhouse; the almshouse and heritage site in London with a strong emphasis on learning. 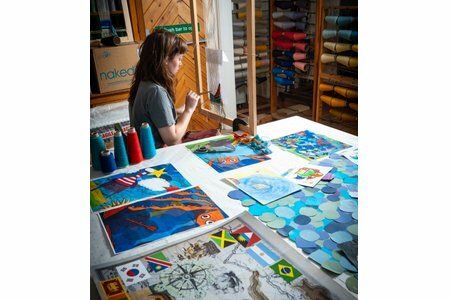 Uniquely but fittingly, the Charterhouse has involved a team of children to create the design, working with the internationally acclaimed UK tapestry studio's expert weavers. The project has been funded by Neil and Emma Redcliffe.